The Prosecutor of Quezon City dismissed the libel charges filed by Gretchen Fullido against Ces Drilon and Marie Lozano. Gretchen Fullido's libel charges against ABS-CBN News' journalists Ces Drilon and Marie Lozano has been dismissed by the Office of the Prosecutor of Quezon City. "In our point of view, the person who executed the same is merely stating her opinion or observation. Also, relaying to another person words which you previously heard is not defamatory and malicious," the resolution on the complaint against Ces stated as reported by ABS-CBN News. The prosecutors said that the sworn statements by Ces and Marie about Gretchen submitted to the ABS-CBN Ad Hoc Investigating Committee are "not defamatory." Gretchen filed libel charges against Ces, Marie and ABS-CBN News executive Venancio Borromeo in October last year. 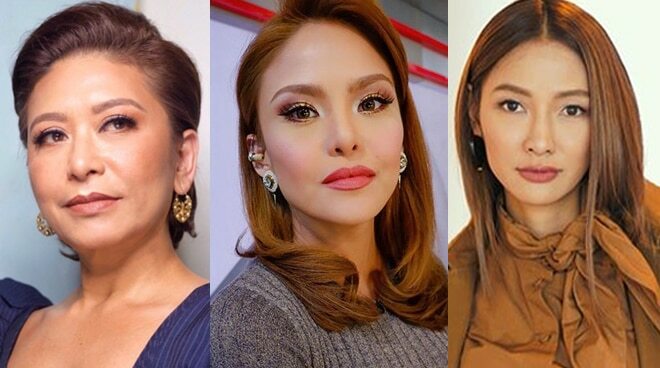 She also filed sexual harassment charges against former TV Patrol supervising producer Cheryl Favila and segment producer Maricar Asprec that time.